Alfresco’s out of the box search engine Solr is configured in a way that searching of special characters is disabled by default. So, for instance, if you would like to find all documents in a system containing “c++” string then you may get tons (depending on the uploaded documents amount) of results that contain “C”-character without “++”-signs in its name and content: document content Fusce dapibus, tellus ac cursus commodo, search key c++, results “Fusce”, “ac”, “cursus”, “commodo”. In order to configure the correct search behavior please follow down to read current post. One of the common tasks for any online business is to keep its data consistent. To achieve this task a database backing up technique can be used. PostgreSQL is a wide spread DBMS that is very popular within web application world and in this guide we’ll see how to automate backups creation process for PostgreSQL on Linux taking as an example Alfresco ECM web application. Enabling of SSL-secured connection for some web application (Alfresco ECM, for instance) is a very common task within web community. That’s right, most of the companies running their own business over the internet require a protection of exchanged data. In current post I’ll show how to switch on such connection by means of Apache Web Server. Hey there! Recently I got a chance to implement CAD format (DXF, DWG) support within Alfresco Share 5.0 so users could preview engineering documents. What’s an Alfresco previewer? The main concept lying behind it is to convert all variety of complex formats (doc, excel, txt, etc.) to a single one – PDF which is then can be rendered by Alfresco previewer. To handle word/excel/other conversion OpenOffice is used, to support DXF and DWG we need to find an appropriate CAD to PDF converter. To do this I will take a look at existing converters, evaluate them and show how to inject one of them to Alfresco to provide the preview of engineering drawings. This solution will work on Alfresco 5 (4th should also be fine) on Windows and Linux. If you have a requirement to retrieve a particular Node path within an Alfresco repository by means of Java then this article for you. Also I’ll show how to get a subpath of this path and use it in Lucene search queries. The post is dedicated to the task of file (content) operations (create, search, copy, aspect management) in Alfresco Java. As an example is taken some production case which demonstrates how to implement all these operations. Post is dedicated to the task of rules and actions development in Alfresco Java. As an example is taken some production case which demonstrates how to implement this task. Since Alfresco 4 the extension modules were presented which allow to change/extend default Share components. This is very useful when we need to perform some minor changes to the graphical user interface within Alfresco. In this tutorial I will present how to implement such kind of module having as an example Share’s Site Members Dashlet that we’ll hide or show depending on user role. 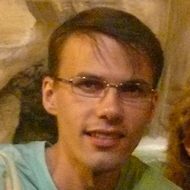 Evaluator logic will be implemented in Java.